If you’ve have been making delicious foods at home for your kids, we are asking that you share the recipes with other parents just like you. There are a lot of recipes out there, but they aren’t always geared to getting kids to eat and eat nutritiously. 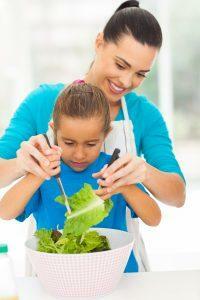 We want to gather your family tested and approved recipes on the website. If you liked the recipe, chances are other families will like it too. Check out our current list of articles all about how to turn kids into adventurous foodies. Share everything from puree recipes, finger foods, breakfast, lunch, dinner to allergen friendly foods and everything in between. How about nutritious snacks? Share that too. Please reach out to us through our contact form to learn more about becoming a contributor.